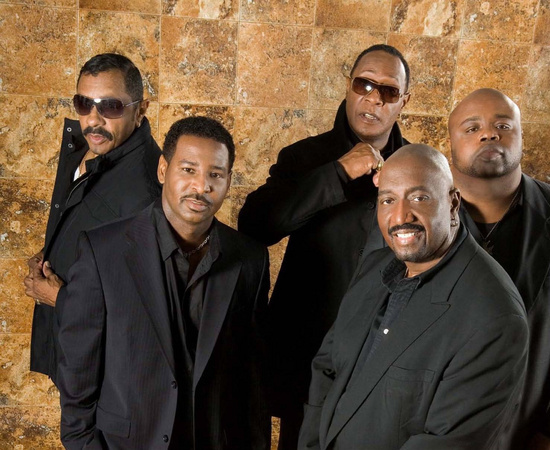 The Temptations are the most successful of all Motown’s male groups. They stood apart for their use of split-vocal leads and slick choreography, becoming the first act to bring a Grammy home to Motown and the second longest serving act on the label, after Stevie Wonder. And they’re still going. This March they return to the UK for a ten-date tour with life-long friends and colleagues, the Four Tops. Otis Williams is the only surviving original member of the Temps that defined an era in the ‘classic five’ of him, Melvin Franklin, David Ruffin, Eddie Kendricks, and Paul Williams. Theirs is The Temptations of ‘My Girl’, ‘Ain’t Too Proud To Beg’ and ‘The Way You Do The Things You Do’; pre-Ruffin’s hubristic departure, their reinvention as a psychedelic soul act in the 70s (when they struck gold with ‘Papa Was A Rolling Stone’); and their brief departure from Motown for Atlantic Records in 1976 (they would return to the label just four years later). But it hasn’t always come easily. Otis Williams has had to battle to keep The Temptations together. As a middle-tenor, he rarely sang lead vocal, instead becoming a shrewd businessman. It was Williams who engineered the group’s departure from Motown in the 70s when he felt they were being neglected by the label and his good sense that protected the group from the destructive personalities of members who threatened to overwhelm them. He’s even undergone lawsuits, more than once, to protect the name from being pinched by splinter groups of ex-members eager to cash in on their success. Hi Otis, have you had a busy day? Otis Williams: Oh no, it’s still early, I’m sitting up here watching television. It’s about 18 minutes before 11 in the morning, sunny and bright, [sings] ‘sun is shining, there’s plenty of light’. I gotta get up here and go to a meeting at 12.30. Business to do. Is that kind of what you do in the Temptations now – business? OW: Well both, businessman, songwriter and performer, all of that. I am multi-hatted. OW: Oh I still enjoy getting up in front of the fans, yes, that’s a challenge, to always want to go out and give them our best. It’s still a labour of love. There aren’t times when you’re ready for the quiet life? OW: Well when you work as often as we do there are times when you just want to get home and just relax with our families, just to chill out, and once we get our batteries re-charged we’re ready to get out there in front of our fans again. How come? How come you still want to get out there and do what you do? OW: Because I love it. Yeah, there’s no need for a thesaurus right now, it’s a labour of love. You know, like I tell people, when you stop and think about this here big globe that we are inhabiting and you are of a percentage to be able to do something that you really enjoy, you love and you bring spirit and happiness to people – that’s a small percentage. Not too many people can say that. And I’ve been able to say it for a whole number of years. So I enjoy it still and I’m very thankful to god for being able to do it for 49 years. There must be some sadness there now though having lost the original members. OW: Oh absolutely, absolutely. They were the cornerstones of The Temptations. We all have sadness be it as a group or in every day life. That’s just something you have to understand and move on with life. Sure I miss them. I’m looking at a big picture above my television of the original Temps. They will always be etched in my heart and mind and memory. How is it performing with the new Temptations, does it compare? OW: Oh I don’t compare the Temps in relation to the original guys. That’s something I don’t do because I can focus my energy on performing to the best of our ability now, I don’t get into that comparison. We have a new CD that we’re releasing called The Temptations Still Here. I think that once it’s out and people get to hear it they will be pleasantly surprised. OW: Well we have some great songs. We have some political songs, which we have been known for. And we have some magic ballads in there and then we have some getting home and hanging tunes. It’s a lot. Did you write any of those? OW: Yeah I wrote four or five. How do you like writing? OW: Oh sure I like it. It means giving a piece of yourself, something of yourself, when you write about how you feel or what you think or your experiences. So yes, I enjoy writing. When I starting singing, the first song that we recorded for Johnnie Mae Matthews I wrote, back when we were the Distants. The song was ‘Come On’. And then the first single we had with Motown in 1961 I had a hand in writing. Those first two: ‘Oh Mother Of Mine’ and the second one ‘Check Yourself’. So I been writing a long time. Why do you think people are still falling in love with the music of Motown? It’s been a while since its heyday. OW: You know great songs will stand the test of time. Look at the Cole Porters and the Gershwin songs, they’re still very popular 60 years later. So Motown is a kind of etching, they’re still songs that people can relate to and identify with. They remember joyous times of what they were doing when the songs were out, wonderful memories. So it’s just one of those things that will live on. Here we are celebrating 50 years of Motown. Who knows, I think it can continue on for another 50 years if not longer. What do you think of the stuff that’s coming out now? OW: Oh, the music that’s coming out today is nothing. It don’t touch Motown’s music. There are a few artists that do some good. But I mean – Jesus Christ – it’s untouchable! In comparison to some of the music I hear today! Do you listen to what’s going on, do you follow that stuff? OW: Oh yeah, I have my Billboard upstairs I was reading, so I listen to the charts. I read the charts and see what’s happening in the business because I’m still in the business. But I listen to the radio and there are a few songs that come on and I go “now that’s a song, that artist can sing, that artist has got great lyrics, a great melody.” Those are the elements that make a song stand out. Every song that you can name from Motown has strong lyrics, a strong melody, is structured right. All the right ingredients for their song to become a hit. Motown songs are still used in every facet of the business today – commercials, movies, in all kinds of elevators you still hear ‘Just My Imagination’ and ‘My Girl’ or ‘What’s Going On’. Motown’s music was a phenomenon. Music today can be doctored with autotune and other software so that it never has to be as harmonically perfect as Motown. How do you feel about that? OW: Well it just shows you that you can use that technology but what about when you need to do it in person? That’s when the truth comes out. Sure they can tweak it and they can do loads of stuff to make an artist sound good but when that record becomes a hit and they have to go out and perform that record – then what? You have all that technology, I know there’s all that stuff you can do with an artist that cannot sing, all that masking and stuff, but a real artist, a real artist that can sing? They don’t need all that. Give ‘em a good song and produce it right. And there’s a tradition with The Temptation which runs very contrary to that? OW: I guess what we’re traditionally known for is a great song and the choreography, the whole image of what The Temptations is all about. We’re definitely locked into the fact that our fans expect us to do the choreography along with the songs. Can you still keep up with all the dancing? OW: Oh yes, I still do the choreography. It’s something that I still do. Your music in particular seems to cross the line between entertainment and politics. When you talk political on your new record, what are you talking about? It’s a sad state of affairs because who are they emulating when they’re wearing their clothes like that? Prisoners. Only reasons that prisoners are wearing their pants like that is because they won’t give them a belt or anything to hold their pants up. I ain’t sure everyone else has to walk around like that. So it’s sad to see everyone else walking around and you can see their draws, and some of them don’t have no draws on. So we’re talking about certain things: pulls your pants up, stop the war, don’t use the N word, stuff like that. You think it’s rap stars as well wearing their pants round their knees? OW: Yeah, we’re telling them all to pull their pants up as well! They need to get some nice suits like The Temptations. OW: [laughs] Well they don’t have to get up like The Temptations, but you know, pull your pants up, pull your pants up. Pull your pants up, boy, stop showing that – I don’t want to see the crack of your behind! I don’t wanna see what kind of draws you’re wearing! Do you think a change is going to come under Obama? OW: It was a good thing that he was elected. You know there’s so much about him being the first black man to be elected president but that has nothing to do with making the right decisions to make sure America gets back on its feet and to continue to bring peace to the rest of the world and do all the thing that presidents have to do. So I was pleased to see it, because there was that barrier that no black man could become president, but I’m not stuck on the colour. It was a wonderful thing that he could do it but now let’s see what kind of job he can do because he knew he was stepping into some very troubled waters. You’re back on tour with The Four Tops again. When’s the last time that you were on tour with the Four Tops? OW: We met up with them last month or the month before that. We tour together almost every year, ever since the sixties. Do you remember the Four Tops and The Temptations in ’83, the battle of the bands? OW: Oh yeah, oh yeah, we were still trying to do what we’d been doing in the sixties, trying to outdo one another. There was a time when all nine of use would go back and forth with one another and the crowd loved it! It was great. That was a time when the great Levi Stubbs was still alive, it was wonderful. Did you get up to mischief after your shows? OW: No, no. We didn’t get up to any mischief. The one-nighters were coming so fast that we were going back to our hotel room and resting to get ready to get up early the next day to go to the next engagement. How does it feel now when you get up to go on tour and you realise that you’re still selling out venues? OW: Oh it’s a great feeling, it’s a great feeling as well considering we’re still living in such hard economic times. The dollar value is such that people are thinking whether they want to go out and see The Temptations or whether they want to go home and save this money. When you can get a family or a couple to come out and still enjoy themselves then that’s great. People will always need something to cheer them up though, right? OW: Yes, we are their escape. Any form of entertainment – movies, music, sport – any kind of entertainment people need to escape. They need to get out to get a fresh view on certain things because it’s rough for a lot of people. So I hope we can be an escape for them to enjoy themselves and sing that and bring back wonderful memories. That’s what we’re here for them to do. I guess that’s what you’ve been doing for your whole career.